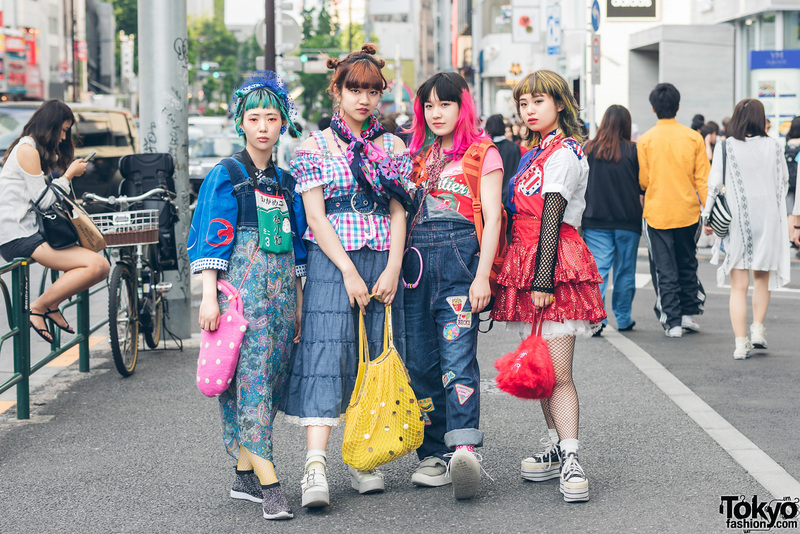 Harajuku duo in clubwear inspired looks with a checkerboard print playtsuit, zipper dress, chain handbags, platform sandals and platform boots. Harajuku duo in all black & resale fashion with black sweater, platforms, bag with badges, black cap, t-shirt, jeans, sling bag, and silver jewelry. 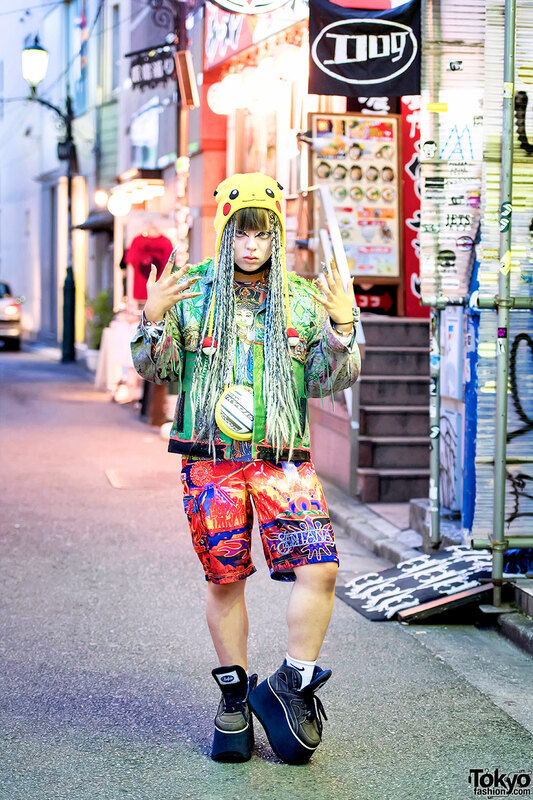 Shoshipoyo on the street in Harajuku with braids and sunglasses wearing a bomber jacket from Dog Harajuku with painted shorts, tube socks, and platform Air Jordan sneakers. Harajuku girl in cat ears beanie, wearing a gingham shirt and suspenders skirt, tote bag and velvet ankle boots.